One of Commissioner Pete Rozelle’s suggestions for the name of the new game was “The Big One.” That name never caught on. “Pro Bowl,” was another Rozelle idea. Had the name been adopted there would have been confusion for that was the name used for the NFL’s All Star game. Another name was floated “World Series of Football.” That died quickly. It was deemed too imitative of baseball’s Fall Classic. There was no Super Bowl Committee. That some said was part of the problem. There was also a game that had no location that had no name. That, too, was part of the problem. That name for the game was official; however, it never took off. It was too cumbersome, a mouthful, no good for newspaper headlines. BOYD DOWLER: We thought it was kind of funny they called it the Super Bowl; that was a feature of the media more than anybody else. But the AFL-NFL Championship Bowl Game, yeah, that’s a lot more words than necessary. Super Bowl is a lot more practical. SHARON HUNT: The name AFL-NFL championship game was too unwieldy, hard to get straight. You know my dad was not going to be preoccupied with toys that were given to children. You know, he might have bounced the ball. We just remember demonstrating it. But then what happened going forward is my dad was in an owner’s meeting. They were trying to figure out what to call the last game, the championship game. I don’t know if he had the ball with him as some reports suggest. But “Super Bowl” stuck in the media and word of mouth. It kind of came out of my dad’s mouth. What do you want to call it? Power of suggestion or just an idea or whatever, it stuck. And the inspiration was that Super Ball. I feel blessed to be the son of a guy who really came up with the name. “Super Bowl” was probably inspired by his contact with the Super Ball. BILL MCNUTT, III: I became very close friends with the Hunt children. We would go over to Dallas and I would play with that ball with them. We were just amazed at this ball. It was the most popular toy of its day. The Wham-O Super Ball was introduced in 1965. Invented by Norm Stingley, a chemical engineer at the Bettis Rubber Company in Whittier, California, the ball was made of Zectron. The “Super Ball” could bounce 6 times higher than any regular rubber ball. Millions of the balls were sold and it remained a craze through the 1960s. PAUL ZIMMERMAN: The National Football League hierarchy frowned on the term “Super Bowl.” But the fans and the media like it and used it and Super Bowl would become the name to represent professional football’s championship game. By October with the 1966 pro football season at full throttle, a site for the staging of the AFL-NFL Championship Game scheduled for January 8, 1967 still had not been selected. There was agreement by all the members of the NFL site selection Committee that the game be played in a warm weather location. Growing up in Southern California, Pete Rozelle knew January weather there was what could generally be counted on. He also knew that comfort for the crowd and a game that could televised well were crucial. The native Californian also knew that a field where players had solid footing would better showcase the talents of all who played in the game. His reasoning was that a Southern California venue would be fair to all on a field that was not frozen, not impacted by weather. Initial prospective sites for the game to be played at included: the Rose Bowl, the Coliseum, the Astrodome, Rice Stadium in Houston, the Sugar Bowl in New Orleans. A few other sites in Texas, Miami and New Orleans also came under consideration. The Committee representing the Rose Bowl objected to its use for a professional football game. Their argument was that to do that would lessen the prestige of their long running enterprise. However, as time for the playing of that first world championship football game drew closer, Pasadena’s City Council tried to re-enter negotiations with the NFL. It was too late in the game. Anaheim Stadium came on the scene – -also too late. On December 1, 1966, after much wrangling, false starts, and all kinds of jockeying about — the awarding of the game to the Los Angeles Memorial Coliseum was announced. Two weeks later news broke that NBC and CBS had each signed a four year deal, a $9.5 million package to telecast the Super Bowl. On November 7th, the Chiefs defeated the Chargers 24-14 giving them the fast lane to the AFL West crown. What made the game unique was that Pete Rozelle attended his first ever American Football League game. The clinching of a deal to merge was not official until the NFL received a special antitrust exemption from Congress. Rozelle, driven and charming at the same time, pushed a bill through Congress making legal single-network contracts for pro sports leagues. There would now be a league-wide agreement replacing the individual TV packages of 12 NFL teams. Some Washington, DC legislators had claimed merger would make for an NFL monopoly. There was much lobbying, promises made, and promises broken. Finally, helped by a critical vote by Louisiana Senator Russell, the NFL was given antitrust exemption. What clinched the deal was a promise by the NFL that its next expansion franchise would be located in Louisiana. That’s how the Saints came marching in. All the scrambling and shuffling resulted in the creation of never-before-staged TV doubleheader on New Year’s Day. The AFL Championship Game from Buffalo was scheduled for 1 P.M, ET. The NFL Championship was slotted in to start at 4 P.M., ET, from Dallas. 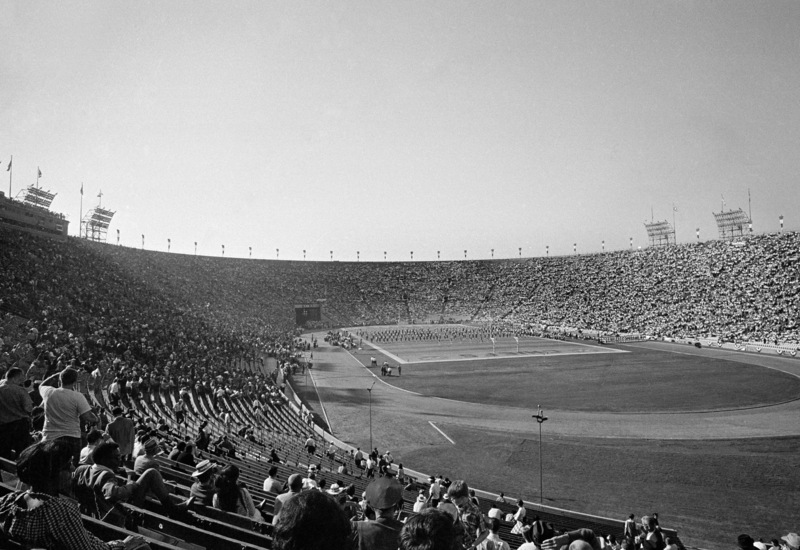 It was not until the end of December that the league formally announced that the AFL-NFL World Championship game would be played at the Los Angeles Coliseum. The date of the game was changed from January 8th to January 15th. HANK STRAM: The AFL had been lobbying for a championship game from the beginning since we had nothing to lose. The NFL had resisted that idea because they had everything to lose. But by 1966 the difference in quality of the two leagues had narrowed to the point where a playoff game became inevitable. However, fans, media, players referred to the first and second games in 1967 and 1968 as the “Super Bowl.” And that it became. Dr. Harvey Frommer is in his 39th year of writing books. A noted oral historian and sports journalist, the author of 42 sports books including the classics: best-selling “New York City Baseball, 1947-1957″ and best-selling “Shoeless Joe and Ragtime Baseball,” his acclaimed Remembering Yankee Stadium was published in 2008 and best-selling Remembering Fenway Park was published to acclaim in 2011.